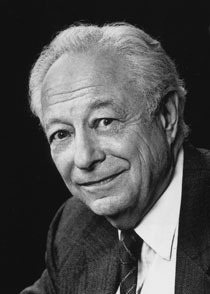 Irving Kristol began his political life as a member of the Young People's Socialist League in the 1930s. He considered himself a Trotskyist throughout his years as an undergrad at the City College of New York. But sometime after graduation, he experienced a complete and total change of heart. Kristol described himself as "a liberal who was mugged by reality." He helped to found what would be called the Neoconservative movement, a radical organization whose goals he would ultimately describe as: "to convert the Republican Party, and American conservatism in general, against their respective wills, into a new kind of conservative politics suitable to governing a modern democracy." In 1953 England, Kristol founded the magazine Encounter, secretly funded with seed money from the CIA by way of the Congress for Cultural Freedom. He is the father of present-day right-wing pundit Bill Kristol.